Phoslab Environmental Laboratories is central Florida’s expert in waste water testing. To comply with regulations including the Clean Water Act and the National Pollutant Discharge Elimination System requirements, companies that produce wastewater require accurate and reliable water testing laboratory services. Phoslab offers wastewater testing throughout greater central Florida. Our clients include waste water facilities and other companies throughout Polk County, Osceola County, Hillsborough County, Orange County, Lake County, Pasco County, and more. We test for a variety of parameters and always use state-of-the-art technology for the highest accuracy. Florida is built on its extensive waterways. Our state features nearly 8,000 lakes and is interlaced with rivers and streams that cover over 50,000 miles. Every single day, statewide wastewater discharge totals billions of gallons which, if improperly managed, can threaten Florida’s vitality. Bodies of surface water like Florida’s waterways have historically been polluted by industrial effluent discharge which contains bacteria and other materials that harm plant and animal life. The Federal Clean Water Act, enforced by the EPA, tackled the problem by making companies responsible for the quality of their wastewater discharge. Since the Clean Water Act was adopted forty years ago, the volume of wastewater has continually risen as the population has grown and businesses have ramped up production, turning enforcement into an even larger job. The National Pollution Discharge Elimination System (NPDES) is a permit program created by the Clean Water Act and it authorizes state governments to carry out some of the Clean Water Act tasks such as issue permits and carry out administrative and enforcement duties. Under many NPDES permits, industries and municipalities are required to complete a Discharge Monitoring Report (DMR). 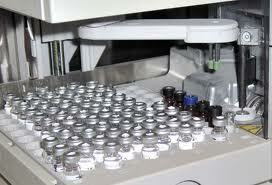 A DMR requires specific and accurate testing of wastewater samples. The wastewater testing labs of Phoslab Environmental Laboratories offer a full range of services targeted toward compliance with these regulations. Though the categories of tests are grouped separately, they overlap. More than one type of wastewater test may be appropriate for a given sample. The professionals at Phoslab are prepared to help you determine which methods are appropriate for the situation. Organic wastewater analysis measures the concentration of organic (carbon-based) compounds in wastewater. The tests are different but related. For example the BOD test measures the oxygen consumption of biodegradable contaminants but the COD test measures the oxygen consumption of both the biodegradable and non-biodegradable oxidizable contaminants. Biochemical oxygen demand measures biochemical reactions that occur when waste discharge is combined with the compounds found in natural waterways. Chemical oxygen demand measures the chemical reactions that result when oxidizable chemicals enter a natural waterway. Total organic carbon is a fast test that can be used to estimate the BOD concentration of a particular wastewater stream after a baseline TOC to BOD ration has been determined. Oil and grease test utilizes the low solubility of hydrophobic compounds such as lard, vegetable oils, fats, and petroleum products to separate and measure the concentrations of those compounds. In addition to measuring the chemical reactions that pollutants cause in wastewater, the solid materials content can be measured. TSS measures the cloudiness of the water after passing through a filter, which is an indication of the concentration of suspended solids in the water by several separate but related methods. TDS measures the residue that is left behind after a volume of water is filtered and evaporated. The residue that is left on the filter is the TSS. Oxygen dissolution in water can be impeded by nutrient pollution – excessive amounts of nutrients such as nitrogen and phosphorus. Nutrient pollution can also lead to an overgrowth of algae. Nitrogen and phosphorus are found in human and animal waste; contaminated water is cleaned and released by wastewater treatment plants. Nitrogen and phosphates can each be measured to assure compliance with EPA standards. Phoslab Environmental Laboratories offers a full range of environmental laboratory testing services that meet the needs of multiple business segments including pharmaceuticals, agriculture, engineering firms, industrial plants, and waste water treatment facilities. With certification and accreditation by the State of Florida Department of Health, NELAP, and the State Surgeon General, Phoslab has been recognized for its superior service. To learn more about how Phoslab can meet your wastewater testing needs, call (863) 617-7943 and speak with a qualified professional.